Is anybody else as intrigued by R.Kellys' fall from fame as I as am. Hello!!! Does anybody remember 12 play? I was too young to do any of the things mentioned on that album but boy did it give me some ideas! Its' unfortunate when people are blessed and they take it for granted. I mean really, if you don't know the definition of teenager I think you're pretty warped. 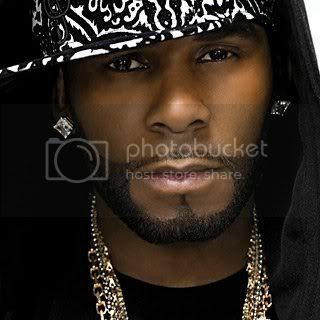 I loved me some R. Kelly back in the days, now I wouldn't think of letting him within my proximity, especially if my teenage niece were around! I'm sure he'll bounce back though, people usually get amnesia when it comes to celebrity slip ups.